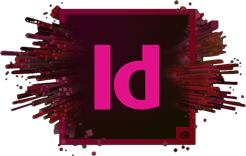 Students receive a course text, Interactive InDesign CC, which includes a link to class files. These resources provide students with a valuable tool for post-training practice, using familiar files and lessons. Ideal for creating anything from interactive brochures to immersive educational texts, EPUB is arguably THE best format for digital publishing in today’s rapidly changing digital landscape—and InDesign is the industry leading EPUB development tool. EPUB is an open specification, so, unlike many competing platforms, there is no inherent fee associated with EPUB development and deployment—no subscription fee and no download fee— and no outside authority to dictate the terms under which your EPUB gets published. EPUB documents can be emailed, downloaded from a website, or, depending on the flavor of EPUB, monetized through the Amazon, iBooks, Kobo or any number of other online stores. EPUB documents can include audio and video; and fixed layout EPUBs can deliver an even richer immersive experience with the addition of animation and interactivity! If you want to stay ahead of the digital publishing curve, EPUB development skills are a must in your designer’s box of tricks.